Springer fishing has been red hot on the Clearwater River for the past few weeks. A boat of anglers can catch their limit before noon. It’s been a long time since we had springer fish this good. It’s been at least eight to 10 years. In fact, 2001 was the last time I remember a really killer year like this. In addition to fishing being better than average this season has been different in other ways, too. This year the water is so low and clear that the fish migrated faster than we’re used to. Normally it takes them 21 days to migrate from Bonneville to the mouth of the Clearwater. This year it only took 14 days. The fact that they moved fast means the fish are in better shape. They aren’t as dark. We’ve seen better quality fish this year. This is going to be one of the best Memorial Weekends we’ve ever had springer fishing, but I don’t expect it to last much longer than that. I’m hoping that it will last until June 1. After June 1, I will go down on the Salmon River in Idaho and fish there. It should stay open longer. Meanwhile, on the Clearwater we’ll have consumed the quota sometime in the next week. The closer the fish get to their holding water the more likely they are to bite eggs and it’s been an egg bite for a few weeks now. I’m catching all my springers on Pink Fire Cure eggs, either trolled behind a diver or bouncing them along the bottom with a lead ball. I’m using 25-pound Suffix mono for a main line and 30-pound Suffix mono clear for a leader. Springers are on the edge of the current, but they also hold in back eddies. 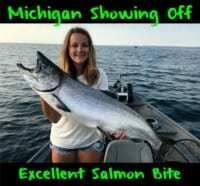 I’m not finding any of these salmon in super fast water. We troll the seam line or the edge of the fast water with eggs and a diver and bounce lead in the back eddies. The water is so low it seems like the deeper the holes the more fish they hold. On the Clearwater it’s open from Orofino to Kooskia, roughly 40 miles of river. It’s also open on the South Fork of the Clearwater. 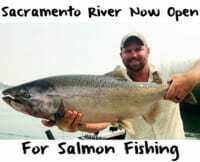 The Salmon River is also open. Right now, Lewiston to Orofino is closed. The Snake and Columbia River is closed. Editor’s Note: Anglers are allowed to keep one fish on the Clearwater River. Please continue to check with Idaho Fish & Game for current regulations. 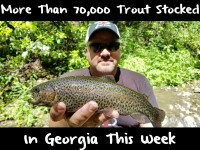 The season will likely close sometime next week when the quota is met. Toby Wyatt operates Reel Time Fishing. For more info on his Clearwater River springer trips please visit http://reeltimefishing.com.